At Cloncannon Biofarm, County Tipperary we cater for all ages in terms of Educational Itineraries. 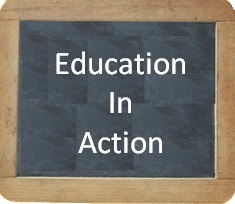 We aim to provide good value for money for Primary and Secondary Schools. We have designed ‘Suggested Itineraries’ for different age groups to reflect their expected interests. The common denominator is that the itineraries are based on outdoor activity and practical education. We would be delighted to work with group leaders (teachers/lecturers) to tailor your visit to the interests of your group. Suggested itineraries for our visitors to Cloncannon Biofarm, County Tipperary. Primary Science has its roots in Nature Study and Environmental Studies and builds on children’s interest and curiosity of the physical and biological world.It is crucial to their cognitive development. At Cloncannon Biofarm we use our Three Leafed Emblem the White Clover to make as many links as possible to the Primary Schools SESE and SPHE Curriculum. This means we engage the students in activities relating to creating healthy soils (Composting/waste reduction/reuse and recycling), healthy plants (crop rotations, soil minerals and microbes) healthy animals and healthy humans (we explain – fresh,local organic nutrient rich food, exercise, and recreation in Nature). The second leaf of our Logo relates to ‘Nature’. 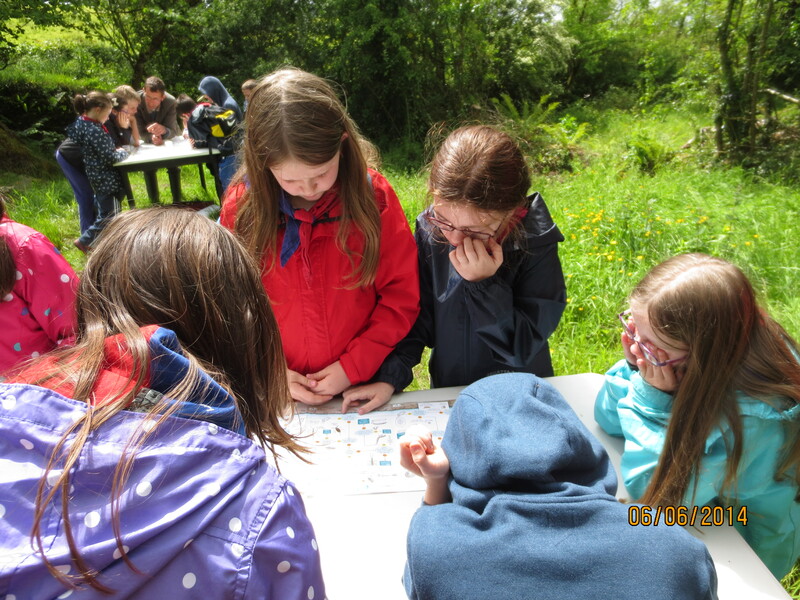 The teachers can pick from a menu of fun learning activities, for example, Native Tree Trail; Hedgerow Food Chains and Food Web; Pond Dipping and Mini beast studies; Wildlife Gardening; the landscape and geography around us explained; Seed dispersal and survival strategies. These activities will involve students exploring, investigating and constructing their own understanding of the natural world. We use the beautiful built heritage features on the farm, they are, the Old Ring Fort, the Old Creamery and the 1850s Old Stone Dwelling to explain the third part of our emblem, which relates to ‘the Future’. This encourages the pupils to visualise the past, its peoples, lifestyles and traditions. They come to appreciate ‘Change’ and stimulated to analyze our current needs and wants and how they fit in with global equality and care of the earth for ‘the Future’. These on farm activities make solid links to the school curriculum, for example, the students develop knowledge and skills relating to ‘Living Things‘ and ‘Environmental Awareness and Care’ in the Science Curriculum. They come to understand the physical landscape around them and a sense of place, and change, which links to ‘Human Environments‘ in the Geography curriculum. 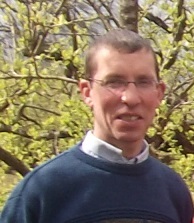 Through exploring the farmland built heritage and the farm wildlife connections to human needs, they can acquire, open, critical and responsible attitudes, which links with ‘Myself and the Wider World‘ in SPHE. We can liaise with the different teachers to satisfy the schools’ needs and determine the duration of the visit. The above itinerary runs from 10am to 12.30 and the fee per student is 6 euro. 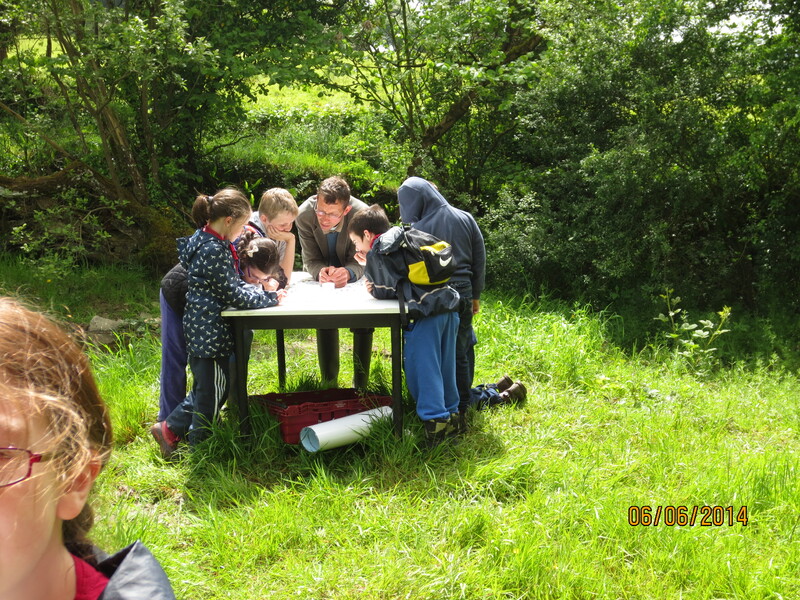 Worksheets are provided and on farm dialogue on issues relating to food, health, nature and care of the earth are key to a successful outing. Secondary Schools – Junior Cycle and Transition Years. Visiting Junior Certificate students are introduced to the physical landscape features to be observed by eye and the story behind that picture. The concept of stewardship is explained in this brief ‘Geography’ module. After a brief outline of the Organic food production system on the farm, we focus on Nature’s systems, cycles and interdependence. Students are encouraged to use their senses and observe the beauty and awe of this dynamic interdependent system. We then investigate a chosen habitat, its features, inhabitants, their strategies for survival and explore food chains and food webs. We use magnification aids to enhance the appreciation of the beauty and complexity of the creatures. We record our numbers and types of specimens found and comment on possible reasons for scarcity or density. The students will gain knowledge, understanding and skills relating to using keys for identification of plants/animals or invertebrates. We walk a short distance to a meadow to investigate plant characteristics. We contrast survival strategies with those of animals and explain food production (photosynthesis), transport, and plant reproduction. The final session deals with threats to the environment and provokes responses/solutions from the students. This programme runs for 2 + 1/2hours and costs 10 euro per student. Yes! we put our Active Retirement visitors into our Educational Itinerary. The reason being that they are interested in life-long learning. To date many Actively Retired people have had fun learning experiences at Cloncannon Biofarm. The farm tour usually open with the Eco log house, the farm residence, and the description of the structure and the various eco materials used throughout the house. We then focus on the farm management practices and the organic farming principles entailed in food production. We produce organic, beef, chickens, potatoes,vegetables, soft fruit and keep honeybees. We share knowledge of crop rotation, soil fertility and pest/disease control. We then ramble up to the old stone dwelling (c.1850) and the old creamery for a sharing of nostalgic stories. But no visitor can ever give a true picture of how life was in the fine ring fort on the farm. A visit to the farm is never complete without a hands-on session at one of the various habitats on the farm. The most popular is the exploring the mini beast in the stream. We stroll by the farm animals and back to the house for a relaxing cup of tea. The tour takes approximately 2 hours and we charge 7 euro per adult. There are several other sites of interest close bye which could help your group fill the days’ outing. These include Moneygall (President Obamas’ ancestral home), Roscrea Heritage town; Cloughjordan Eco-village; Nenagh Castle and Heritage Centre; Holycross Abbey and Shanballyedmond Court Tomb near Rearcross. We know that some customers will want to pay and book online to visit Cloncannon Biofarm. We have a facility to accept payment online via Paypal and we manage our booking communication via email. To assist you with planning we have a calendar which shows dates that are reserved for other groups in red and which dates are available in green. Please note that when you book online you will visit our page on the PayPal site to make payment – simply select how many people will be with your group. PayPal will forward confirmation of the payment to us and Cloncannon Biofarm do not receive details of how you paid or details of any credit cards used. You will receive an email confirming payment from PayPal and we will follow up shortly afterwards to discuss your visit. The table below allows you to pay online for a school tour using your PayPal account. Learn about growing healthy food and enjoying Nature. Please note that advance payment by cheque is also offered to our customers. We would be delighted to welcome you to Cloncannon Biofarm. You have the option to Buy Online and then book a date to visit us by emailing me at sean@cloncannonbiofarm.com or using the contact form below - you can check out our Availability Calendar in advance to help you plan your trip.